past. This saves you time and money. Click here to download our product Safety Datat Sheets (SDS). Visit our HandiChem Solids LinkedIn Showcase page. Through Resourcefully Green we provide customized programs designed to meet your sustainability goals and objectives. 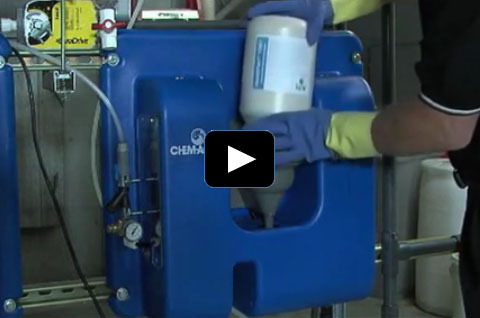 Examples of applications that illustrate how the HandiChem System has improved the clients chemical work station – making it an attractive alternative to liquid treatments. 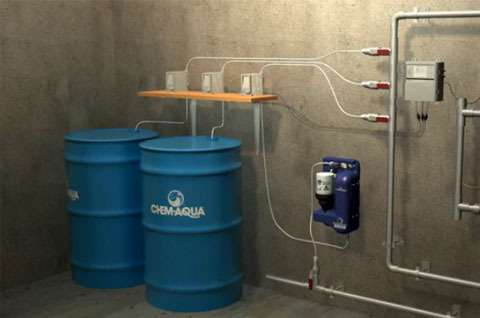 Answers to some of the more frequently asked questions regarding the HandiChem Water Treatment Systems.